“You know, the last time I had any of these beers, I really didn’t like them. 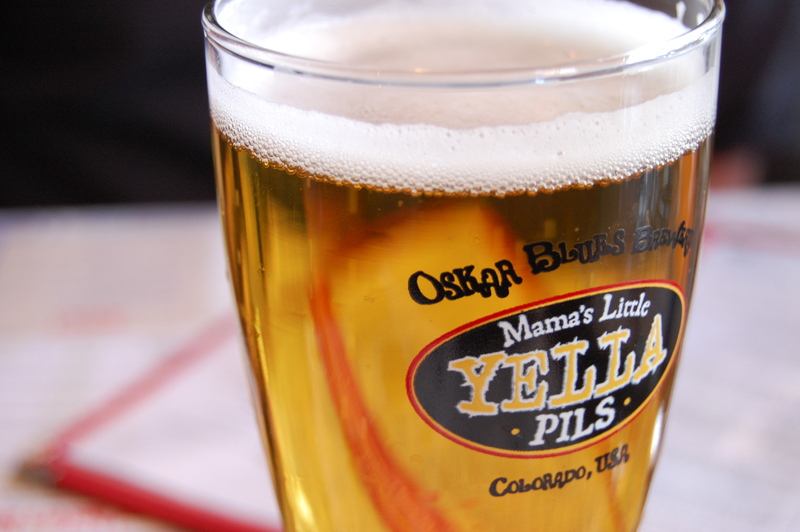 I drank them more on a dare,” I explained to Jim, Oskar Blues’ public relations specialist, as we sat down to lunch. 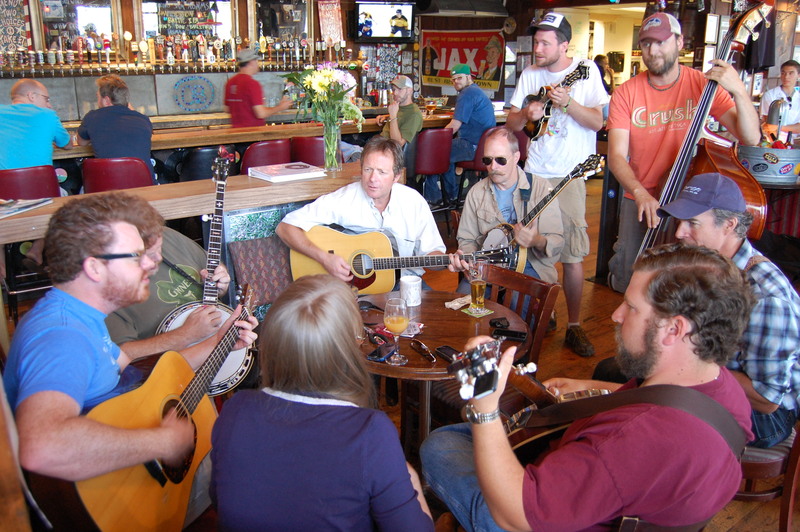 Every Sunday an impromptu Blue Grass band plays just inside the door of the Oskar Blues Home Made Liquids & Solids restaurant. We arrived as they were settling in, some of the musicians still pulling their instruments out of the cases. Jim offered a nervous smile. “I understand. Dale’s beers are all really bold and not necessarily for everyone.” He was right on, too. Both of the Oskar Blues brews I tried years ago were bold enough to scare me away from any of their other products. I didn’t want to take the risk and spend the cash on something I was almost positive I wouldn’t enjoy. 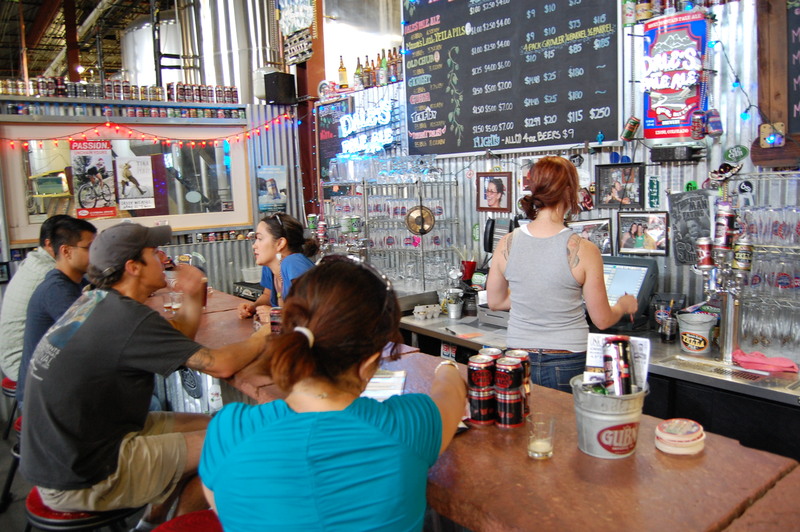 I was willing to give them another try on this day, though, while on a tour of the Oskar Blues beer world. It had been years since my last sip of their beer and my palate had most certainly changed in that time. So it was about time, particularly since I wasn’t footing the bill, that I give ol’ Dale and his beer a second chance. We started the day at Ya Ya’s Hop Farm, so named for Dale Katechis’ mother who calls the farm home. This is where some of the hops are grown for their seasonal brews. Largely, though, they come from various farms in the Pacific Northwest, as do hops for most American beers. So despite an upcoming expansion for Oskar Blues to North Carolina, the bulk of the hops will still be shipped across country to that brewery. 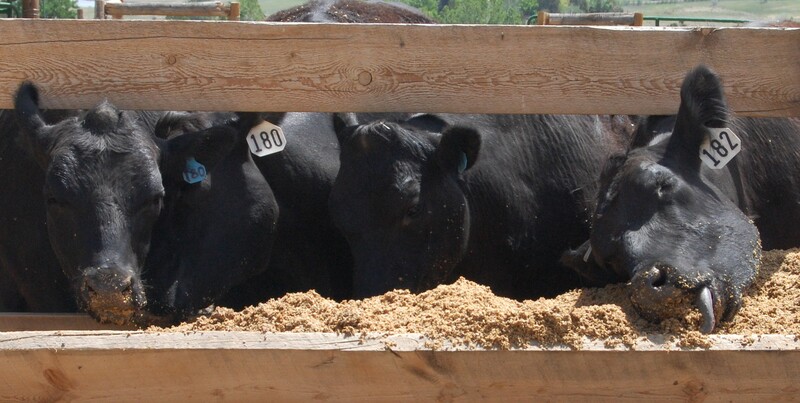 Byproduct from the brewing process, which is done just down the road from the Home Made Liquids & Solids restaurant, is also repurposed on the farm into livestock feed. Some of those animals are later sent onto “production,” as farmer Geoff Hess explained it to me. In more blunt terms, they’re made into very tasty hamburgers and bacon I can devour in the form of a Silo. Jim, one of his colleagues, and I wandered into the restaurant close to lunchtime. The music greeted us at the door, as did the smell from the nearby brunch buffet. I immediately resigned myself to jumping on it and trying as many of the restaurant’s eats as possible. 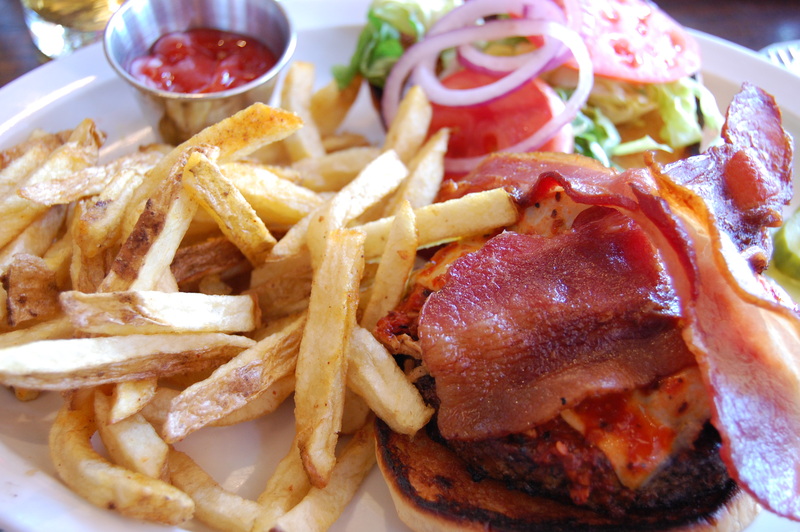 But when I heard the magic words – “It’s a hamburger with pulled pork, bacon, pepper jack cheese, and hot sauce” – I didn’t need to hear anything else. I was sold. The Silo would be mine, oh yes, it would be mine. While we waited to order lunch, an assortment of appetizers arrived for sampling. 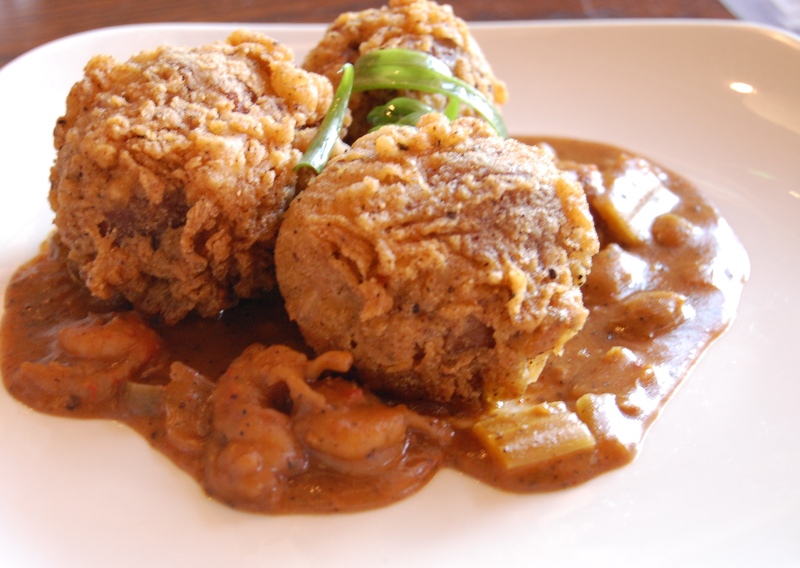 And much to my delight, I found out Ramona, Jim’s colleague, was a vegetarian and not interested in either the Boudin Balls – a tasty cajun breaded sausage meatball – or the chicken wings. Eager to eat more and sample all of the restaurant’s sauces – minus the ghost chile sauce they have on hand – I traded her my share of the deep fried pickles for more meat. I could have been content sitting there all afternoon tapping my toes to the music, munching on wings and meatballs, and sipping on some of Mama’s Little Yella Pilsner – my first successful foray into Dale’s beers. It was a crisp and refreshing beer perfect for such an afternoon, cooking out, or tailgating at the game. And now it was on my list to pick up the next time I was at the store. Waddling out of Home Made Liquids & Solids a couple of hours later, I could not comprehend how I squeezed all that food into my gut. I did not want to stop, but I should have sooner. Much sooner. It was so delicious, though, and the atmosphere just right for a good time. And in hindsight, I was quite pleased I skipped out on the brunch buffet; as good as it looked, I would likely still be there today tapping my a toe to the music with a beer in hand and a stack of cleared plates at the table’s edge. 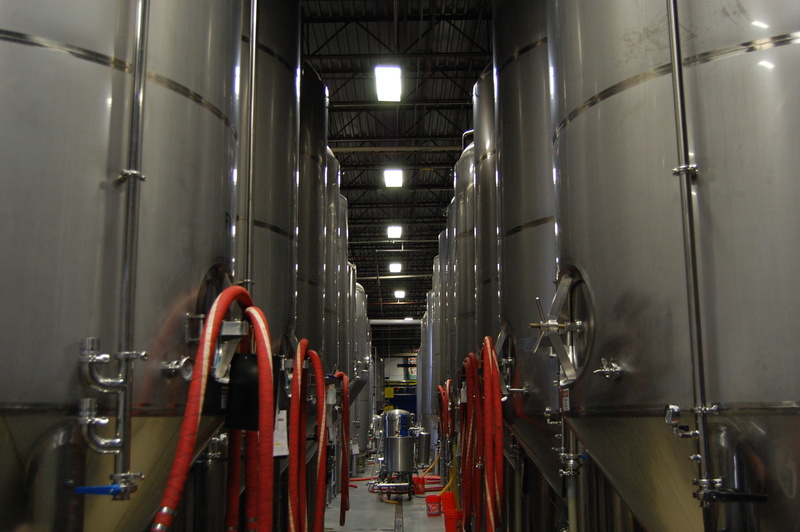 We headed a few blocks down the road to the Tasty Weasel Tap Room for a private brewery tour. Garret Frase, head of the tap room, led us around while explaining the finer points of the brewing process. Even though I’ve heard it a dozen times before on other tours, it never quite sticks in my head. So listening to Garret explain the process was like learning about how beer was made for the first time. 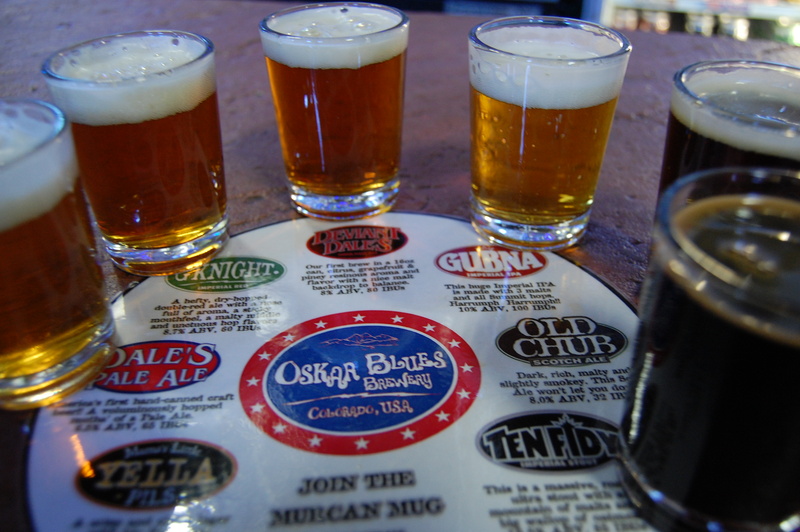 Some of the Oskar Blues beers are that way, though – made for the first time. The brew masters have enough freedom to take risks, experiment, and see if they can come across something new and tasty. I saw this first hand, as old bourbon casks filled with beer sat on pallets aging and adding flavor to the contents. The results might simply be a delicious offering for a night in the tap room or the next big award winner for the brewery. The day before my arrival, Oskar Blues Brewery won a gold medal in San Diego at the Craft Brewers Conference for their G’Knight Imperial Red. We ended the day sitting down to a sampler of their beers in the Tasty Weasel Tap Room. With a sip of the G’Knight I could understand why it won. It was a little too hoppy for my tastes, yet it was a good beer deserving of a medal; it was carefully crafted and cared for, as all good beers should be. As for the other samples, I generally stuck by my initial opinion – Dale’s Pale Ale is too bitter with hops for my palate, which prefers lighter and sweeter beers. The same was the case, as was expected, for the overpowering Gubna Imperial IPA. Yet, as I went down the line – from the lighter beers to the dark – I was pleasantly surprised. They were bold, there was no arguing that, but some of them I found to be unexpectedly damn good, even the Old Chub Scotch Ale – a beer I severely disliked years ago.